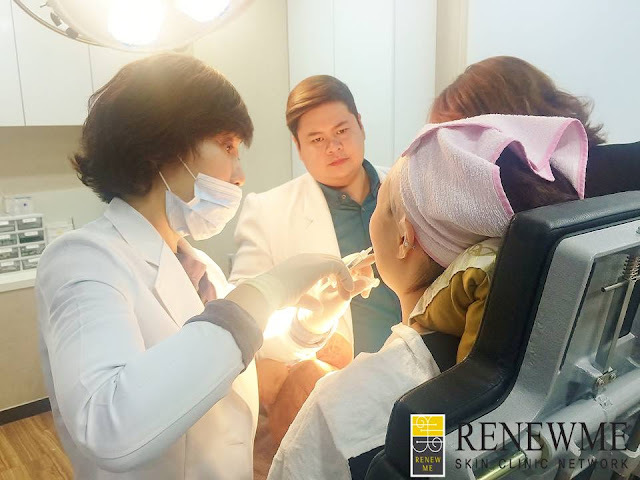 Renewme Skin Clinic: Botox and Filler Workshop with Dr. Domingo from Pilippine. Botox and Filler Workshop with Dr. Domingo from Pilippine. 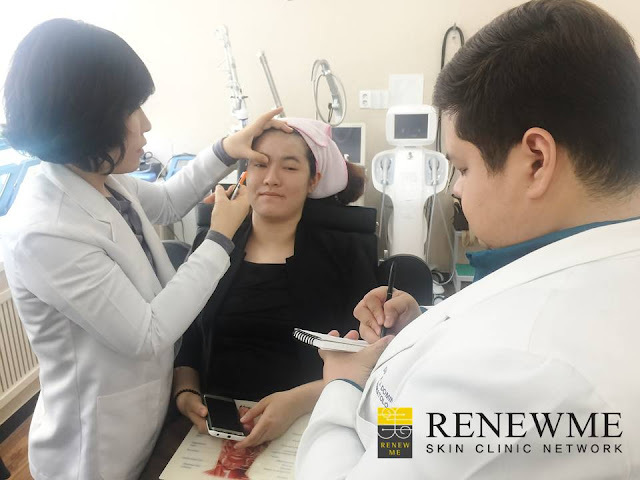 Renewme skin clinic is the inspired beautiful dermatology clinic in South Korea. The clinic has the best and most professional medical care experience for all our patients and clients as well. With advocating the natural line, perfect skin treatment, we are opened a new era in Korea as the beautiful Renaissance dermatology skin clinic. 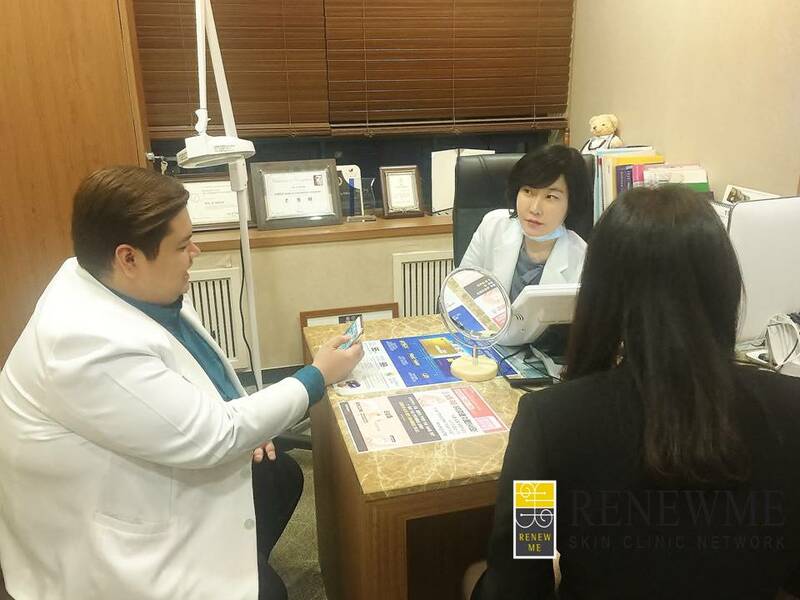 Renewme clinic has already recognized in various status who are young people and even elder people in Korea. We have a lot of structures of technology and medical service with refined the concept of fast growing in Korea. Now, we have seven branches in Seoul and even Busan with professional certified doctors and deliberated treatments and technical equipments in the clinic. We also have recognized in medical filed abroad at the same time. To have customer good quality for health care service, we are always studying medical treatments to nurture a lot of doctors in Korea and even foreigner doctor in medical fields. 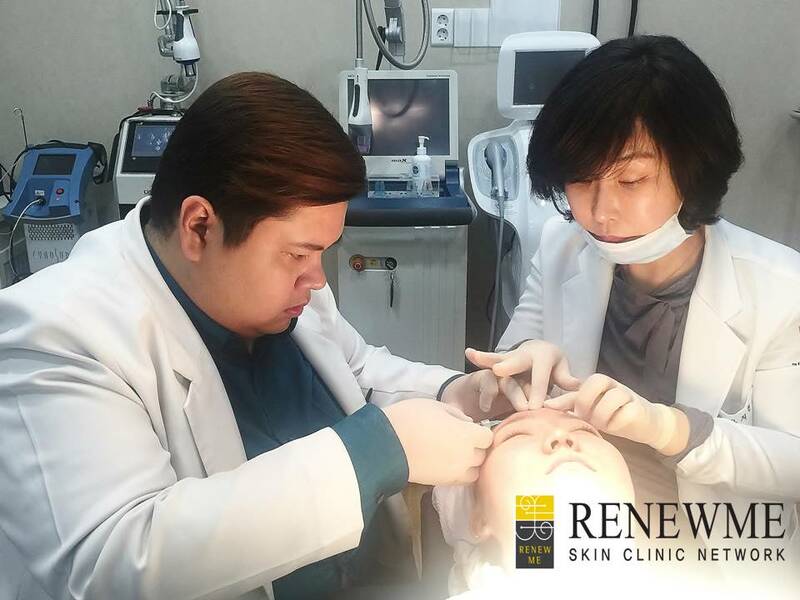 Today, Dr. Ha Ji Hyun has a workshop with Dr. Domingo in Philippines about the guidance of the actual Botox and filler injection technology in Renewme Jamsil branch. Dr. Domingo also was ready to have workshop with taking a note with Dr. Ha. Filler is Hyaluronic acid, one of the immediate micro-shaping projects using hyaluronic acid composition of hyaluronic acid injection. Hyaluronic acid is used to fill and improves facial lines fullness. But each person's face are different angles of the aesthetic, so the design is very important before injection. Injection is also important for choice of needle position, needle withdrawal techniques. Last step is also very important for shaping approach. Renewme skin clinic always makes design methods of all parts of area for each patient. We always give design of different treatment methods depending on all customers. In the picture, Dr. Domingo has studied the process of Botox and filler with learning a detailed explanation for design and precaution. Then Dr. Domingo was ready to have actual work based on theories with Dr. Ha. After checking and designating patient’s areas, Dr. Domingo reminded of guideline for Botox and filler and he did the actual work of all parts like forehead on patient’s face. While he has own operations in workshop, Dr. Ha, she always guided how to treat and inject Botox and filler. After finishing the advanced study course, Dr. Domingo wants to ask some questions about Botox and Filler to Dr. Ha. Dr. Ha gave him professional answers for helping and understanding more expert medical treatment based on her experience. Dr. Domingo said that it was really helpful to have experience and training workshop in Korea. He was really satisfied on his workshop with Dr. Ha. We also spent time enjoying workshop with him. 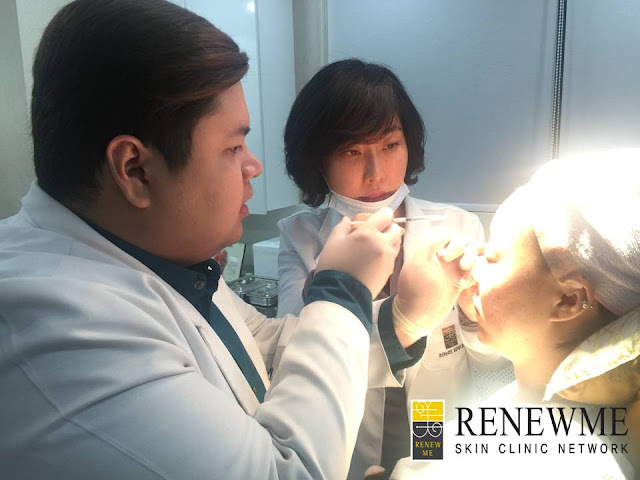 Renewme skin clinic wishes him to be professional doctor in Philippine. 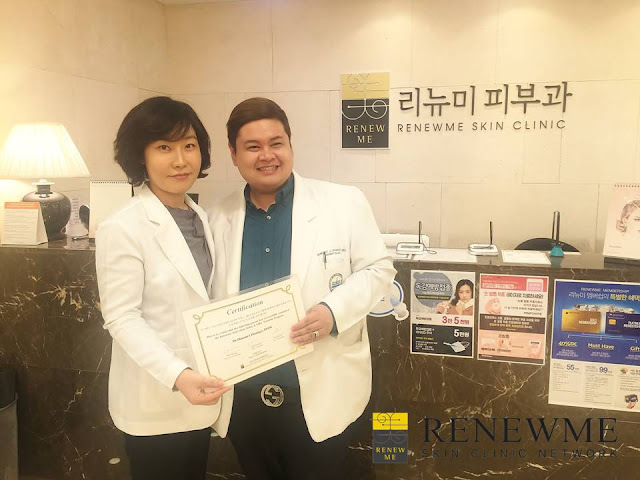 Dr. Domingo got a certificate of education issued by the President of the Korea Society from Renewme Skin clinic. Although the course is over, Dr. Domingo has observations to see some treatment such as Botox, Filler, and other laser treatments to communicate in our clinic. Please Apply to our workshop and contact us via contact number below. We always welcome you to come our clinc!